The heater exchanger can be single stage or double stage, inside will be SUS316L material. The platform can be steel grate type, or other type customers like. 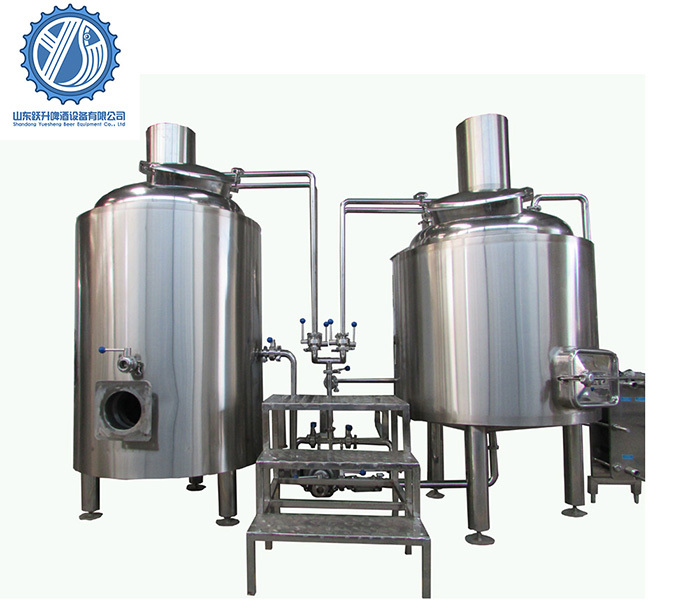 The fermenter will be fixed with 4~8 fermenter, its Qty. can be flexible according to customer’s requirement. Or follow our suggestion. 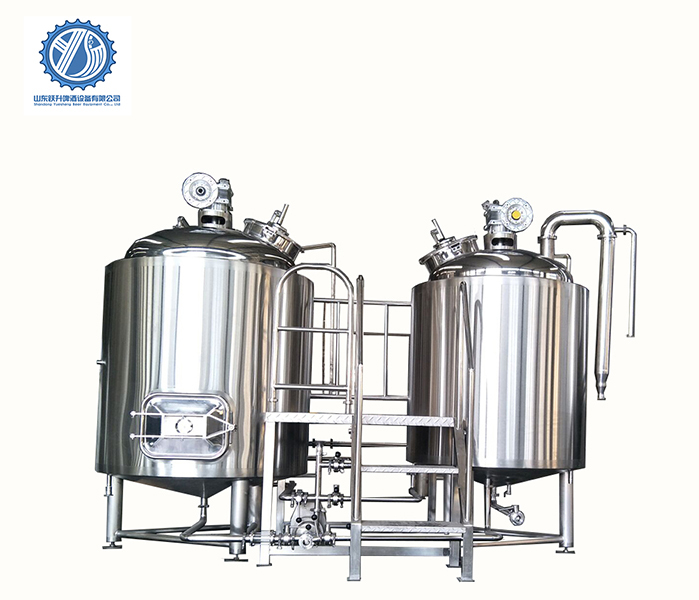 Widely use for home hobby, pub, bar, restaurant, hotel, teaching test equipment, micro, medium factory, etc. 4. When the equipment is completed, it will be inspected by the quality inspectors. How to test, how to test, quality control, quality control of finished products? 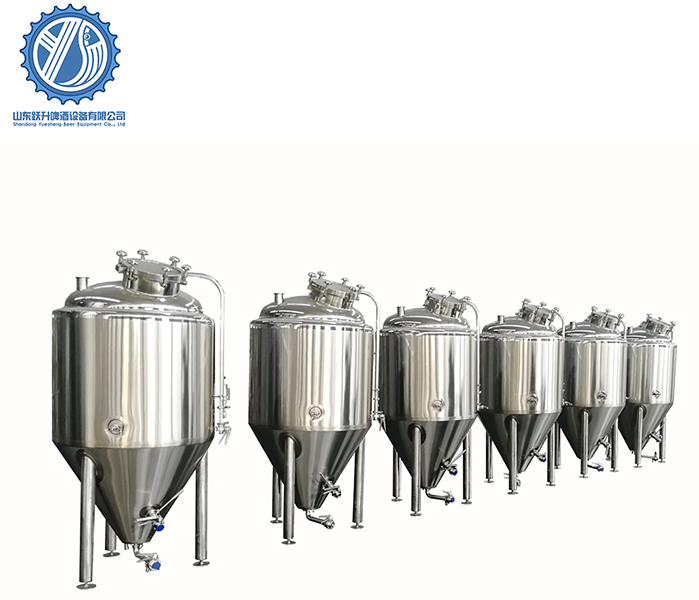 Shandong Yuesheng Beer Equipment Co., Ltd. is specialized in designing, manufacturing, installation, commissioning, technology and development services manufacturer. 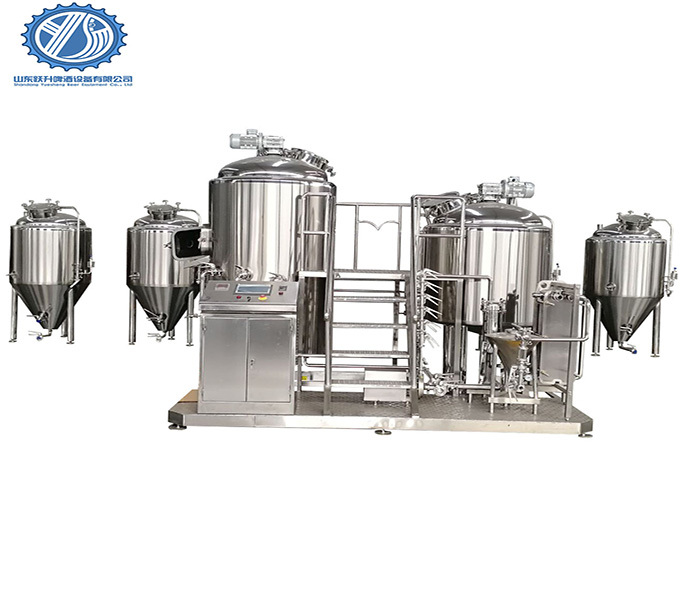 We supply turnkey brewery from 50L to 200HL brewery, single fermenter, unitank, bright beer tank, hot liquor tank, etc; And we also supply related products like keg filling and washing machine, kegs, bottle filling and capping machine, etc. shall be changed free of charge when problems happened during the warranty period. Immediately by E-mail, fax, MSN, Skype ,telephone. 7. The English operation manual in electronic edition is included. 8. Machine has been adjusted before delivery. 4. 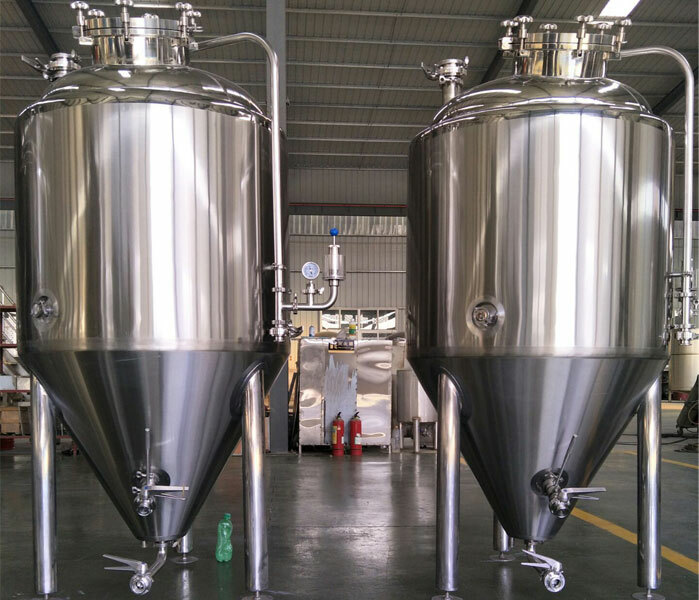 High and Strict quality control system with accurate testing tools: All the tank will do water and pressure test when finishing. 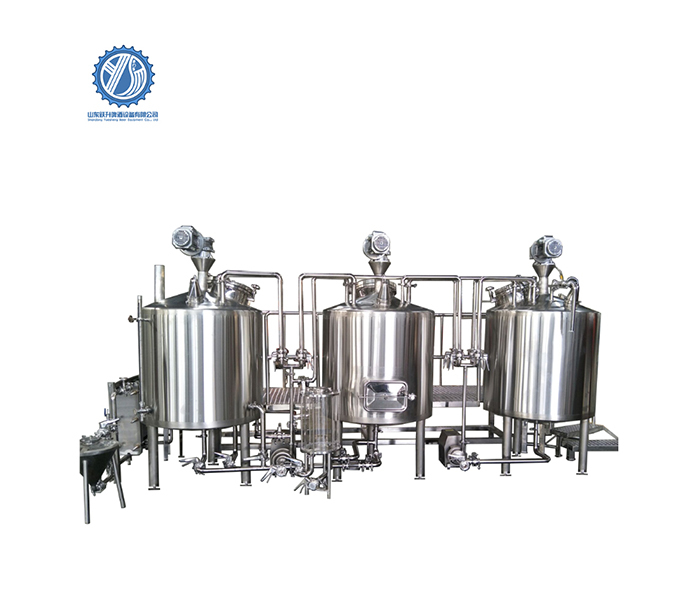 Pressure test is 2-4bar; Machine has been adjusted before delivery. 6. Adopting advanced world famous brand components in pneumatic parts , electric parts and operation parts. 8. Service:Free training course at our plant. Free parts support within warrantee period. 9. The English operation manual in electronic edition is included.